while simultaneously upgrading the appearance for your vehicle. the fenders of most custom applications. Make your ride POP with Forte' F19 Rugburn wheels. to the highest standards for the custom wheels industry. 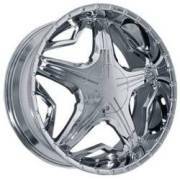 including passenger car rims and truck wheels for the latest vehicle models, at affordable prices. All Forte wheels carry the manufacturor's warranty against defects in materials and workmanship. which helps increase tire life and prevent brakes from overheating. performance and handling of your vehicle while adding a sportier look. and your car will hold the road better with wider, lower profile tires. tires for your vehicle and ship them to your door, ready to be installed on your vehicle. Looking for TPMS Sensors for your vehicle? We can also install new tire pressure sensors on your new Forte Wheels and tires. is verified by our trained custom wheel technicians before ever leaving our facility. All of our Forte Wheels meet or exceed industry structural testing standards. Quality Custom Wheels at Affortable Prices - Forte Wheels! 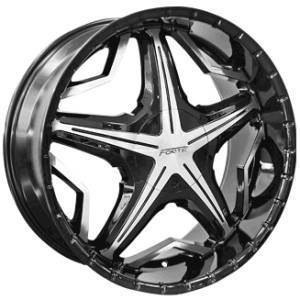 of Forte custom wheels in the nation at the lowest prices. Forte Wheels are available for most Passenger, Light Truck and SUV applications. Forte Rims are available in Machined-Black, Chrome, Black, and new PVD finishes.